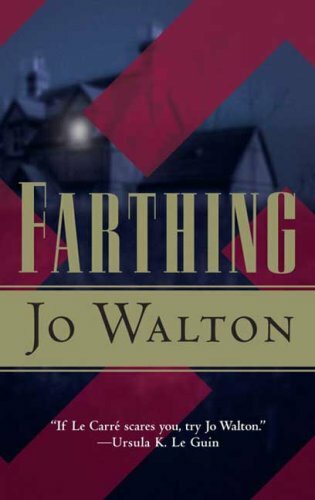 Just finished reading Half a Crown, which is the concluding volume to Jo Walton’s trilogy of books about a post-war Britain that’s slowly succumbing to fascism. I’m now going to spoil the book (and the whole series) pretty heavily, so don’t read any further if you care about that sort of thing. The book ends with the young Queen Elizabeth going on television–after a failed attempt to assassinate the fascist Prime Minister–to dissolve the fascist government and announce free and fair elections. In some of the online commentary on the book, I saw some people talking about how this was kind of a deus ex machina (which it definitely is) and how it’s sort of rosy and unrealistic. But, to me, it didn’t seem too terribly unrealistic at all. This is exactly what happened in fascist Spain, right? During Franco’s life, King Juan Carlos was somewhat powerless and sidelined. But when he died, the King (amidst a royalist counter-coup and all kings of other instability) took power and then went on television and announced support for democratic and constitutional rule. Thus, to me, the ending didn’t seem too terribly out of place. I certainly enjoyed the way that Walton’s books paired the society novel with these suspense plots. They’re like the novels that Nancy Mitford would’ve written if World War II had turned out rather differently. Actually, I probably would’ve enjoyed them more if they hadn’t all been half-narrated by this Scotland Yard detective. I enjoyed the clueless debutante points of view (a different one in each book) substantially more than I enjoyed the conflicted detective’s PoV. And some of the world-building was interesting. I liked the way that life continued as normal, to a substantial degree, even as the fascists took power. But I also thought that elements of it were quite poorly thought-out. For instance, we have numerous examples of fascist countries that were not under the control of Nazi Germany (Franco’s Spain, Salazar’s Portugal, and Peron’s Argentina). But none of these countries attempted to exterminate their Jewish populations or assist Nazi Germany in the persecution of Jews. In some ways, the book seems to paint a rather narrow of view of fascism and totalitarianism as things that are only really blameworthy when they lead to pogroms and genocide. Although those things are terrible, of course, it would be interesting to someday read a “rise of fascism!” book that attempts to examine the other aspects of fascist life (the corporatism, militarism, nationalism, etc.) in the same way that Francis Spufford’s Red Plenty examined the economic planning problems inherent in the Soviet system. What do you do when the writing isn’t easy?